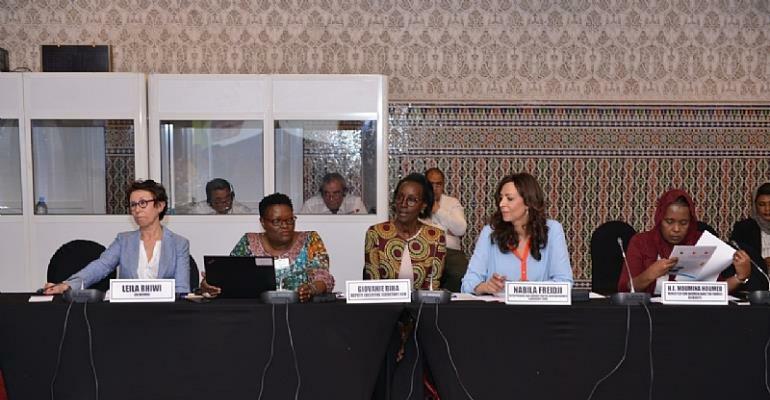 Marrakech, 16 April (ECA)-Access to finance by women in Africa is critical if the continent is to attain the sustainable development goals, Economic Commission for Africa’s (ECA) Deputy Executive Secretary, Giovanie Biha said Tuesday. “This is an indicator that the financial exclusion of women is not an option for our continent,” said Ms. Biha, adding the African Women Leadership Fund was an impact fund that aims to strengthen the economic empowerment of women and accelerate the emergence of African women fund managers who in turn will invest in and develop African women-led businesses and micro-businesses. The ECA is supporting the operationalization of the innovative fund, a brainchild of the United Nations Deputy Secretary-General, Amina J. Mohammed, African Union Commission Chairperson, Moussa Faki Mahamat, and the AWLN.